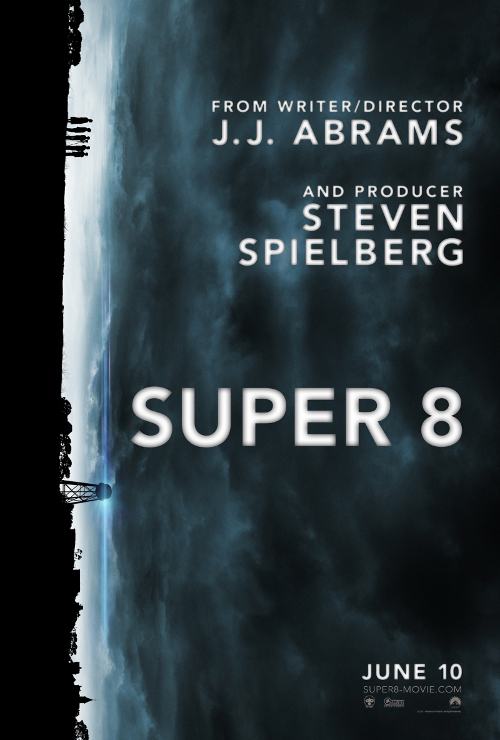 The Billionty-Oneth Geek: SUPER 8!!! Not super great, but at least super good. SUPER 8!!! Not super great, but at least super good. 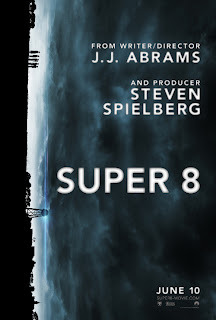 Super 8 was probably one of the movies I was most anticipating this year. And perhaps it was that self generated hype that led to a letdown. I enjoyed the movie, but I just came out thinking that I wanted to enjoy it more. When they first released that extended trailer a few months ago, there was something magical about it that even when I watch it today, gives me a chill down my spine. It looked like all those movies from the 80s that I loved. The story follows a group of kids in a town called Lillian, Ohio who aspire to become horror movie makers by winning a local film contest. Their ragtag group has been shooting a little zombie movie on their super 8 cameras. The kids sneak off one night, joined by a girl named Alice, who happens to be the crush of the main kid, Joe. While filming a scene at the train station, they get caught in the middle of a freak accident, with a car crashing and totaling a freight train. It turns out the train was transporting a mysterious creature, known only to the government, and it is freed into Lillian. Strange things then start happening to the local community. Electronics go missing. Pets run away from the county. People go missing. Stuck in the middle are these kids, who wish to complete their film. That is until Alice disappears, sending the kids into a search and rescue mission. For our young adventurers, they find more than they were looking for. Super 8 is a perfectly good movie. But it’s just that: good. Good is as much as I can give it, at least right now. I wish it were great, but it just lacked a certain charm that would of pushed it over the edge. The movie had all the right nostalgic elements; from the clothes, hairstyles, the music – everything worked well in capturing the atmosphere from the 80s. So technically, everything was spot on. But there was something that kept the story and, therefore, the movie from having that same feel as similar fares from that decade. To me, why it didn’t click in the same way was how the story would shift back and forth from the kids to the adults. Granted, the adult story didn’t encompass the whole movie (it is still the child’s story to tell), but the fact that the adults had a story at all, took away some of that magic. Why I LOVE the Goonies and enjoyed E.T. was because for the most part, it stuck with the kids unless they had to shift to the adults, who were more plot devices than part of the main plot. But the adults never had their own little story arcs, they were periphery to the main narrative. The movie is teeming with nostalgic appeal, so anyone, such as myself, who grew up in the 80s would appreciate it. Just don’t expect another E.T. It’s still a good movie and definitely worth seeing. Til next time, later geeks.